Having no real holiday between the New Year and Memorial Day is a horrible, horrible thing. The last two-and-a-half months have been nonstop between work projects, personal engagements, and family things. I just needed a day off. 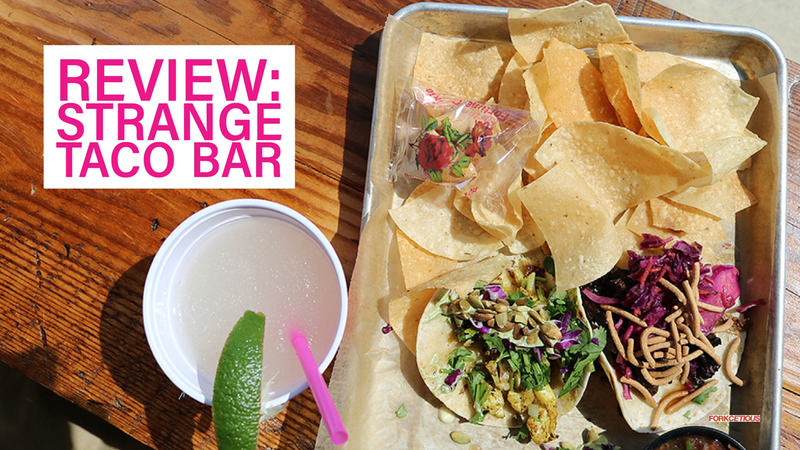 I remembered hearing about this taco bar in downtown Lawrenceville, so I attempted to get there around 11 when they opened to beat the rush. Yea, that didn’t happen. Well, I arrived around noon which was about ten minutes before the crowds of other Lawrenceville-adjacent workers made their way for a quick lunch. I walked up and grabbed a menu. I scanned it briefly online before arriving, but wasn’t sold on what to order. After a minute or two, I decided on the braised duck taco, cauliflower taco, and beef short rib bulgogi taco with chips and salsa and a frozen margarita. They advertised an adult Orange Julius-esque drink but the cashier with this cute natural fade told me it has dairy in it so no mas. I grabbed my number and sat down at the high-top bar along the window. Less than five minutes later, my margarita arrived. Let’s get this lunch started. This frozen margarita was $8. Solo cup shawty. Shortly after the margarita arrived, my tacos, chips and salsa came out. I doubt it was even 12:15. I ate them in the order you see them: braised duck taco, cauliflower taco, and beef short rib bulgogi taco. 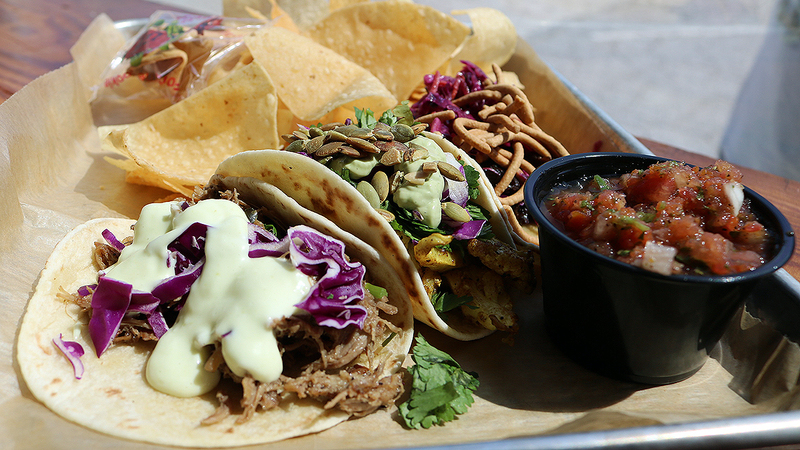 The braised duck taco is DRIPPING in wasabi aioli. Any sinus or congestion problems I had were quickly eradicated by that sauce. Woo! 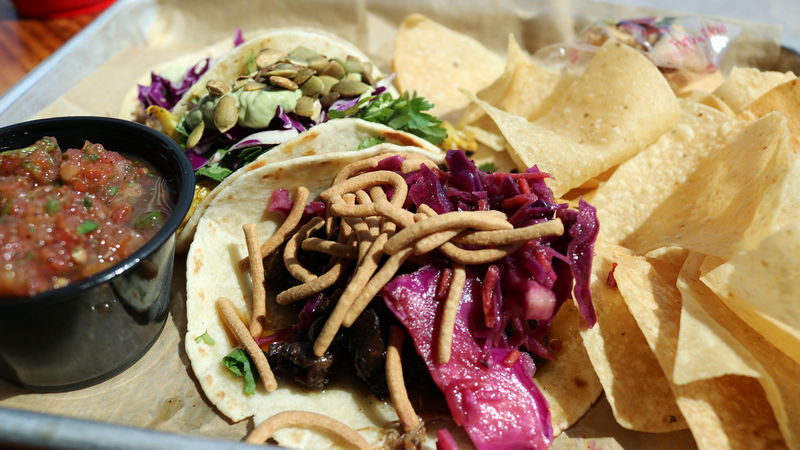 This taco epitomizes what your mind blown would actually feel like. The duck was extremely moist, thankfully. Crusty meat tacos aren’t the wave. This taco, however, was my favorite out of the three. The cauliflower taco spoke to me because I’ve been craving cauliflower and Brussels sprouts as of late. However, this taco was pretty safe. The cauliflower didn’t have a lot of flavor and the pumpkin seeds just added a bit of crunch. I wouldn’t order this one again. The beef short rib bulgogi was good. It’s like one of the guys on a reality dating show that skates past elimination week after week until there’s like five or six guys left. He’s nice, looks good, but overall just wasn’t as great of a fit with the Bachelorette or Flavor of Love or whatever. The cabbage and wontons made this a #thiccsnack, however the flavor of the bulgogi was slightly muted. I’d order it again. The beef short rib bulgogi taco aka #thiccsnack. You can’t go wrong with chips and salsa. The next time, I’d order a larger size so I could enjoy it more, but I loved the freshness of the chips. This was truly a great appetizer. I probably spent an hour in there, but mostly because I wanted to finish my margarita before leaving. 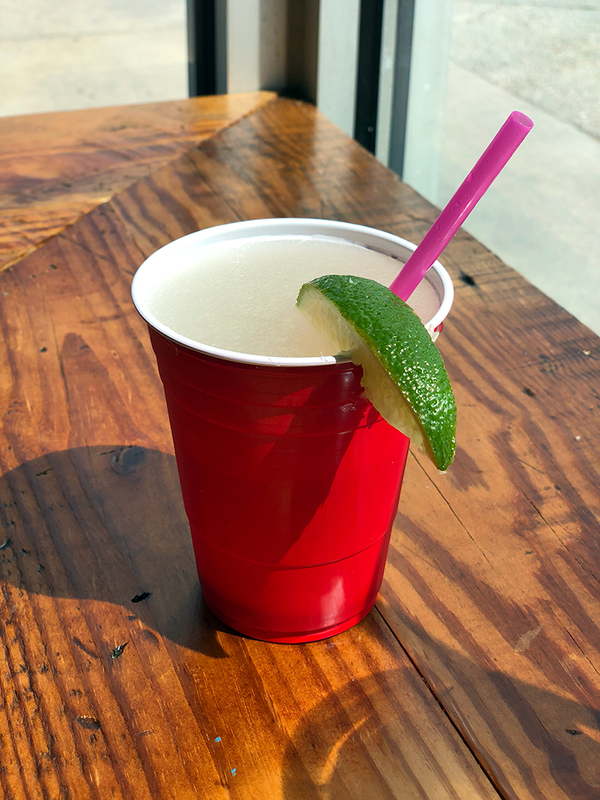 It was your standard, traditional margarita. If I wanted to spend $9, I would’ve added strawberry syrup to it. But I didn’t and was still satisfied. I’m already plotting a return visit. I want to try more tacos, but also a rice bowl situation. I’d probably hit up the $2 taco days/nights to capitalize off that without turning this into another $20 meal.